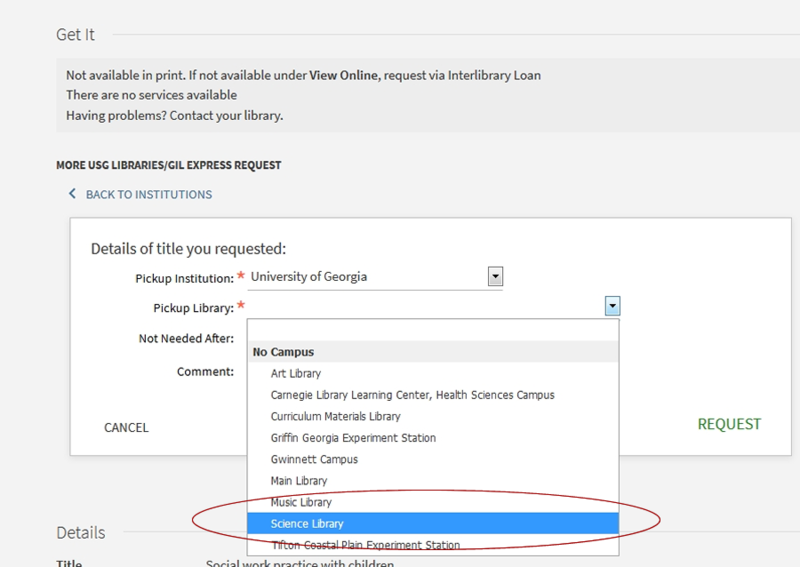 The GIL Express service, which allows UGA faculty, staff and students to request items from other University System of Georgia (USG) universities, is available within the GIL-Find Catalog. 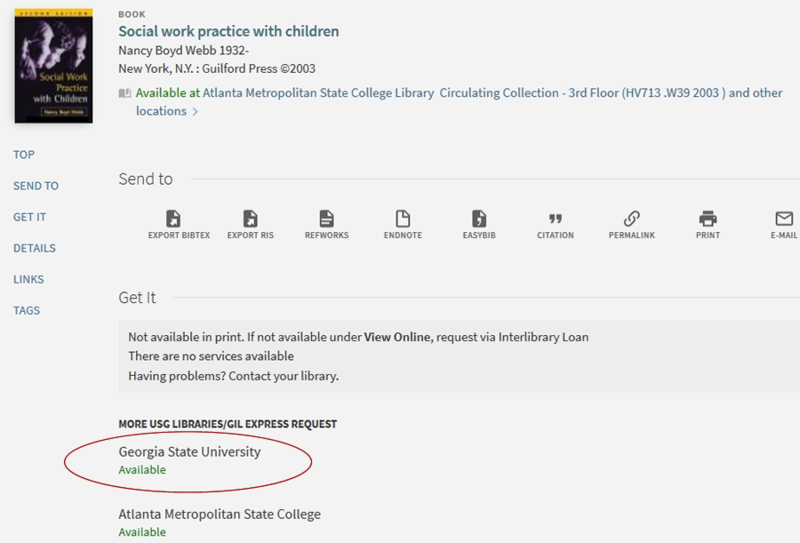 When you search GIL-Find, you can either choose to search the holdings of just the University of Georgia Libraries, or the holdings of all USG libraries. 1. Type in your search terms and choose "University System of Georgia". 3. 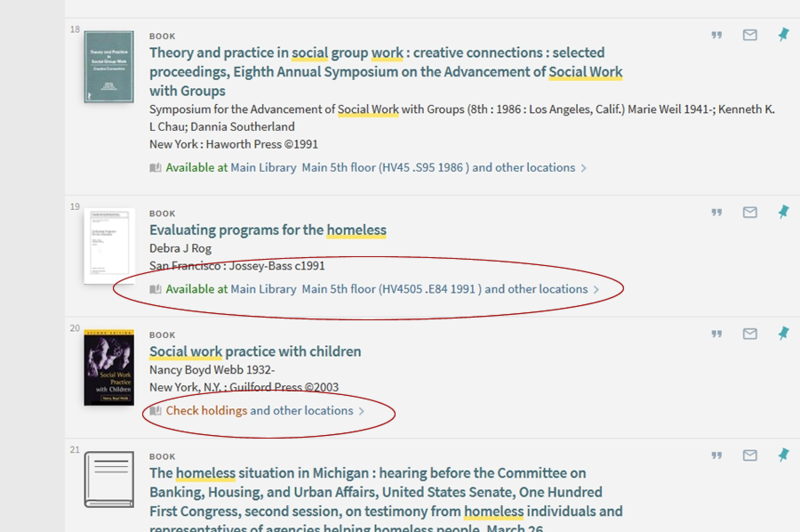 The record for the item shows you which other libraries own it. If you are not already logged in, you need to SIGN IN with your UGA MyID and password to request it. 4. 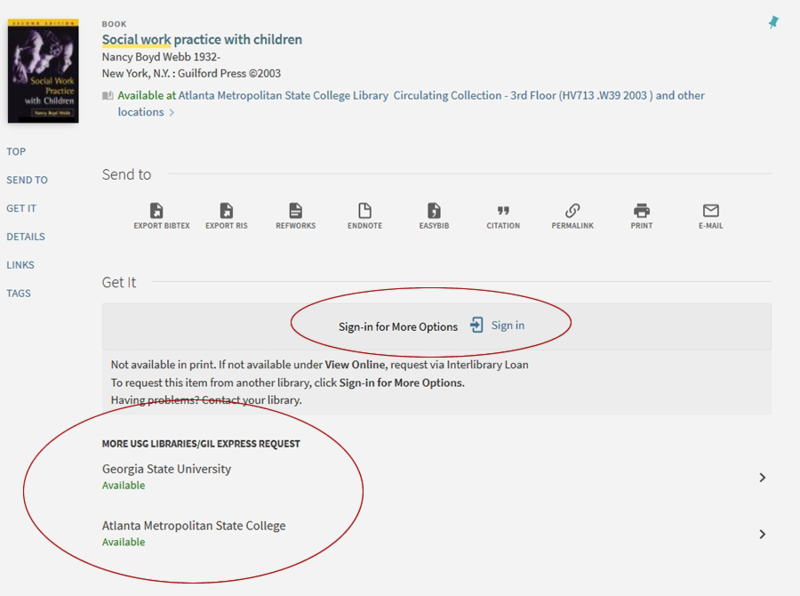 When you've signed in, click on the name of a library where the item is available. 6. 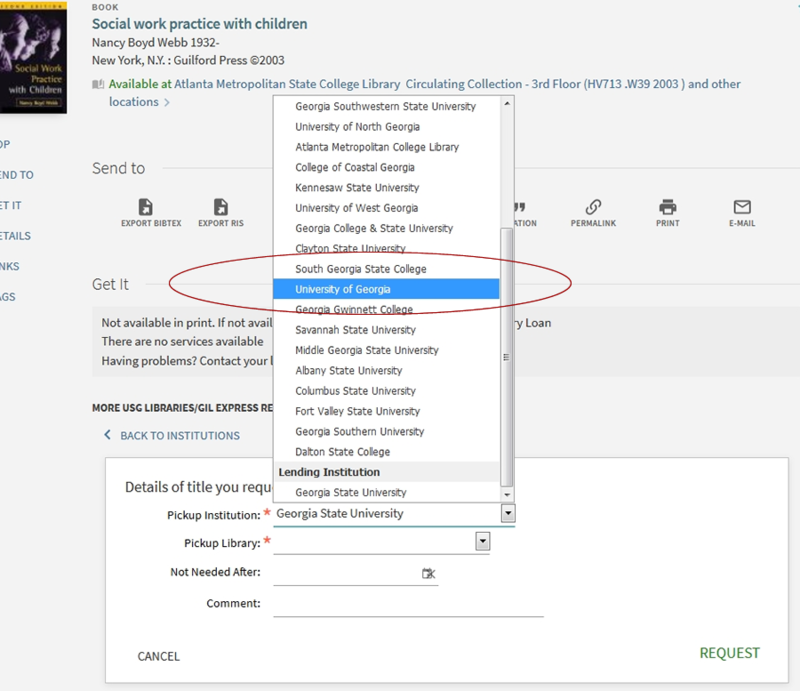 Select your institution from the first drop-down list. 7. Select your pickup library. 8. If there is a date after which you don't need the item to be sent, please indicate that here. 9. Don't forget to sign out of your account when you have finished using GIL-Find. 10. You will receive an email notification when the item is available for pick-up. In the meantime, if you want to check on the progress of your request, you can sign into your account at the top right of the GIL-Find screen.